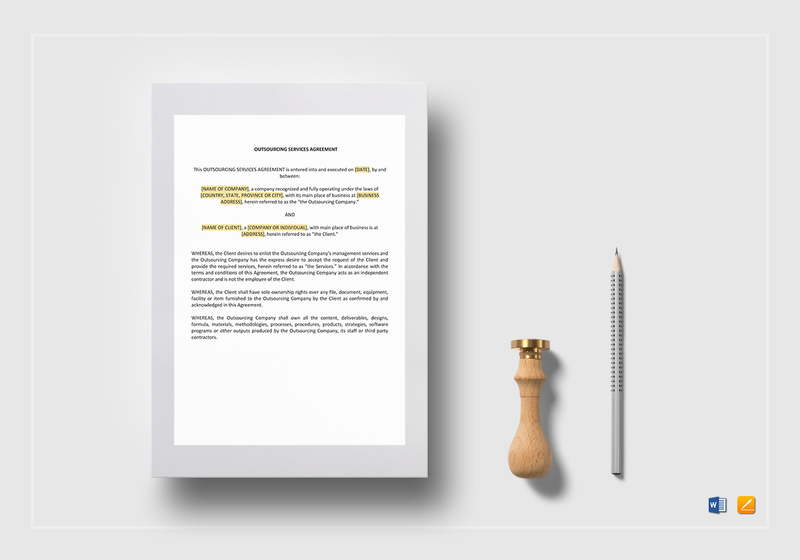 Not all work can be done in-house, and this outsourcing services agreement ensures that all work done outside the office are made official. 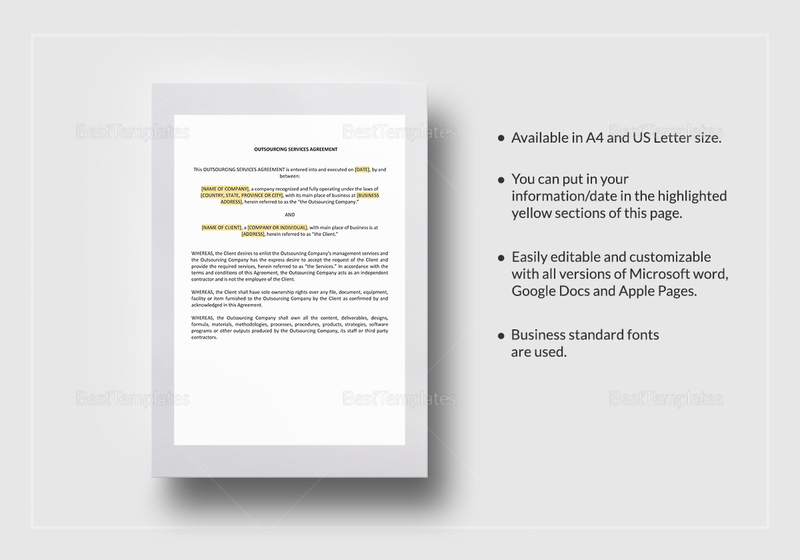 Download the agreement template in Microsoft Word or Apple Pages, edit the highlighted areas and add the necessary information as you see fit. Print and share online to use as contract for your outsourced employees.